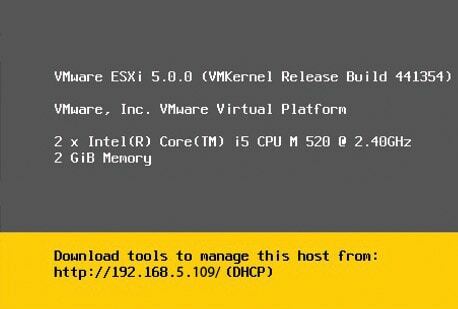 Step 1: First you have to download the ISO image of Vmwrae ESXi 5 from their official website. Once it has been downloaded, burn it on a CD and boot your machine with it. Step 2: Once the CD boots, you will get the following screen. Select the first option. 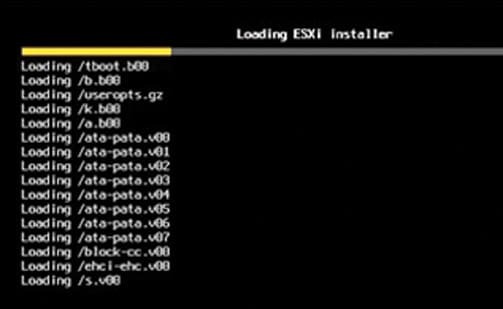 Step 3: Next it will start loading the ESXi installer. Press Enter to start installation. Step 4: Press F11 to accept the license and continue. A screen will appear for the selection of installation drive. Choose your local drive and press Enter to continue. Step 5: Type the root user name and password in the two fields, and then press Enter to continue. Press F11 to start the installation. 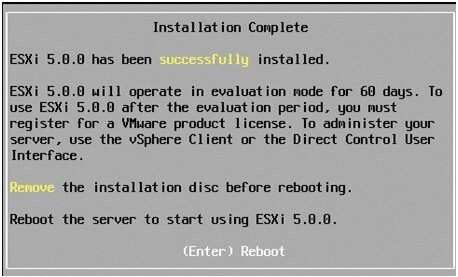 Now it is installing the VMware ESXi. 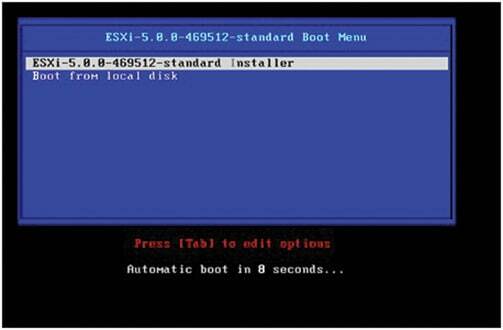 Step 6: Once it has been installed press Enter to reboot after the installation. Step 7: Now the installation is over. You can find the following image displaying the IP address (IP address is DHCP) for managing this host. In case the IP is not fetched by DHCP, you can configure it manually. 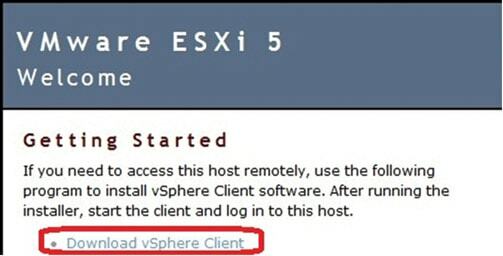 Step 8: If you visit the address that is mentioned in your ESXi 5 server, you will get the following screen. 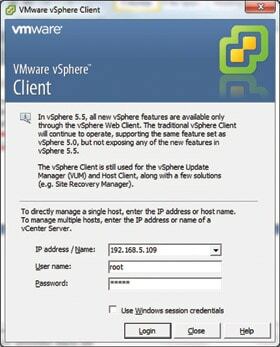 Click on the Download vSphere Client through which you can manage your virtual machines. Step 9: After you have downloaded and installed the client, the following window will open where you have to give the same user name and password which was provided in step 5. Step 10: Now right click on the IP of your server and select New Virtual Machine from the dropdown menu to create a new virtual machine. Step 11: Now step by step you can configure location, storage, network, disk space etc. 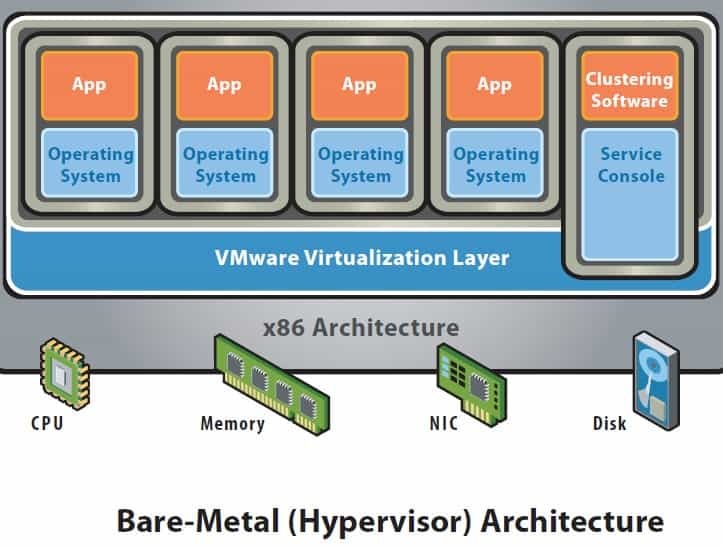 and create a virtual machine as per your requirements.